Started as a response to the current apolitical climate in commercial music, the Hard Truth Soldiers compilation series is a rallying cry for social justice. Each volume is a collection of material that goes against the grain of commercial hip-pop by providing content of substance, touching on subjects ranging from war and police brutality to black on black crime and domestic violence. With the recent reduction of civil liberties, increased instances of injustice and racism both domestically and abroad and a rise in self-censoring corporate media monopolies hell-bent on stifling dissent while at the same time flooding our communities with negative and escapist entertainment, it's ironic that this is the most prolific period of protest song-writing in history. And the Hard Truth Soldiers don't miss a beat. 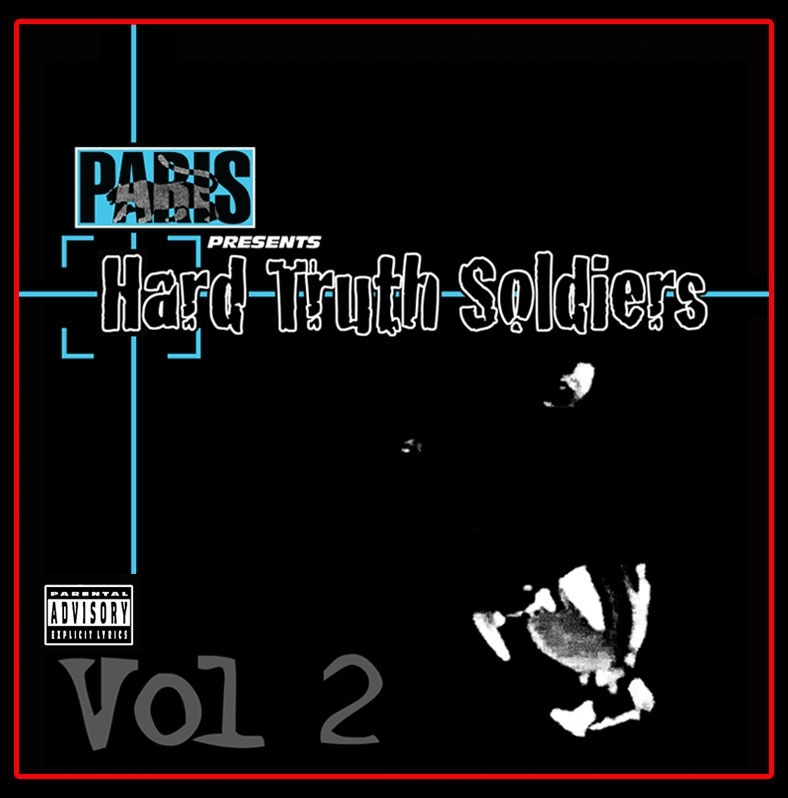 Featuring Paris' trademark massive sonic production, Volume 2 showcases contributions from Paris, T-KASH, The Conscious Daughters, Uno the Prophet, Jasiri X, NYOil, Truth Universal, Sandy Griffith & more. 4. Pardon Me - T-K.A.S.H. 9. Dead Man Walking - T-K.A.S.H.